Businesses in every sector and of every size spend lots of money, time, and energy developing a strong online presence and heightened visibility in a busy digital space. This, obviously enough, is especially true of online-based businesses like you-tubers, vloggers, bloggers, and other digital content creators and publishing outlets. And, as strange as this may have seemed even two years ago, there is a lot of money in this kind of media production. For example, “PewDiePie,” a you-tuber from Sweden, made $18 million dollars in 2014 by streaming himself playing video games, and make-up vlogger Michelle Phan parlayed her 1 billion youtube views into building a $84 million cosmetics company. And, as it happens when people hit the jackpot, legions of optimistic hopefuls (and big businesses attempting to jump on popular trends) look to emulate these success stories. It is unsurprising, then, that as things grow more crowded in an arena where intellectual property is king, conflicts as to who owns what (and who should profit) break out. At present, most of these disputes are resolved through the Digital Millennium Copyright Act (DMCA); this article will detail the procedures necessary to execute a DMCA takedown request on the more popular media networks, defend against spurious ones, outline the latest changes to these procedures, and suggest what you should (and shouldn’t) say to a client caught up in an online copyright dispute. The DMCA employs a very simple procedure for taking down infringing material online – in fact, the system is perhaps simplified to the point of easy abuse. Essentially, a takedown notice requires the following things be delivered to the hosting party’s designated agent at the Copyright Office: 1) contact information for the complaining party; 2) the name and address or other information identifying the infringing work; 3) a statement that the notice is accurate; 4) a statement, under penalty of perjury, that the party lodging the complaint is authorized to act for the copyright owner; 5) a statement that the complaining party believes in good faith that the work is being used in an unauthorized manner; and 6) the signature of the complaining party. Once the notice is received by the hosting party, the content must be taken down, and a notice is sent to the alleged infringer. The alleged infringer can then respond with a counter-notice, after which the copyright owner may sue to enforce their rights. If no suit is filed, then the content may be restored. That’s it. Once the notice is given, the content comes down, and it stays down if the alleged infringer doesn’t have the legal knowledge to feel safe in a defense (such as fair use) or the money to litigate. Because the procedure is simple, weighted in the complaining party’s favor, and easily abused through the use of faked information, a takedown notice is an easy way to harass innocent parties. Thus, if a client asks you if a particular post or piece of content is infringing, let them know that even if it isn’t, a DMCA notice could still be filed against it and restrict and/or delay the dissemination of the material. This is true regardless of whether the copyrighted owner is a multi-million dollar entity or a small local business. In fact, you will likely have far better luck with a small business than a major multinational: for example, Gawker Media’s Deadspin and Vox Media’s SB Nation were both suspended from Twitter by the NFL under DMCA takedown notices, and Disney sent takedown notices to individuals who had posted images of legally purchased (but unofficially released) merchandise on social networks. If your client gets tagged with one of these questionable notices, you should also caution them against reposting the material again – in some instances this may result in a full suspension or deletion of their account (such as with Twitter), in addition to exposing them to additional liability. In the event that your client’s copyrighted work is being used in an unauthorized manner online, youtube has a very simple Copyright Infringement Complaint Form at https://www.youtube.com/copyright_complaint_form. However, be aware that Google and Youtube have come under increased scrutiny for the ease with which content has been removed from the site despite obvious fair use. To that end, youtube itself has, on occasion, responded to the complaining party directly, notifying them that the content won’t be removed without further justification and a more clearly stated basis for the takedown notice. Additionally, youtube has recently instituted a copyright protection fund, and has reserved $1 million dollars to defend content creators who clearly fall within the fair use exception to infringement. Unfortunately for parties engaged in legitimate fair use, there’s no way to request these additional protections, and youtube offers them on a case-by-case basis. That said, be aware that takedown procedures are not as simple on youtube as they are with other content hosts. Twitter, like youtube, has a DMCA Takedown form at “https://support.twitter.com/forms/dmca.” However, complainants and notice recipients alike should be aware of Twitter’s policy of submitting all notices and counter-notices it receives through its ticketing system to the Lumen Database at “https://lumendatabase.org/” (formerly known as Chilling Effects), where the notifications are published for the public at large to view (with some personal information redacted). It’s also important to note that submission of a takedown notice may not result in an automatic takedown, as twitter itself will determine whether the tweet in question is subject to takedown. WordPress provides its takedown notice form at https://automattic.com/dmca-notice/. Like youtube and google, Wordpress has gone to bat for its users before, and has fully litigated cases against parties who submitted bogus takedown notices. Wordpress also has a policy of reviewing notices for validity, and do not automatically remove or suspend content. They also review the content to determine whether the content is clearly fair use. Therefore, if your client’s content is removed and a notice is issued to you by Wordpress, then be aware the blog hosting service determined the fair use defense questionable in some regard (but, of course, their determination should not be substituted for your professional legal judgment). Lastly, like Twitter, Wordpress submits correspondence processed through its takedown system to the Lumen Database. 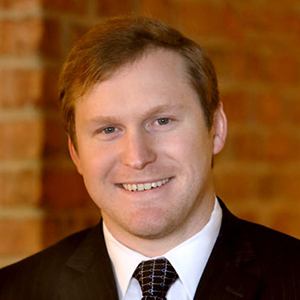 Bryan Norris is an attorney with Sharpless & Stavola, P.A. in Greensboro, NC, and his practice areas include commercial litigation, business torts, trademarks and copyright, and professional malpractice. He received his undergraduate degree from Davidson College and graduated from the University of North Carolina School of Law.